Some people may ask why I chose the Legacy GT over the conventional WRX. The reason is because I like to be different. Even with my first car (1966 Mustang), I modified it and did things that most other traditional Ford guys would do. I drove the Mustang for a good four years, until I needed something more practical for going off to school. 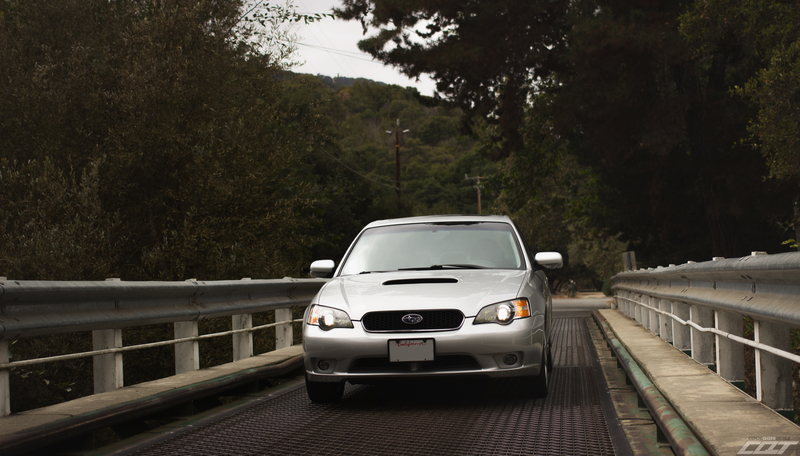 I had rode in my buddy’s 2008 Legacy GT and really liked the contrast from the WRX. It combined the luxury of leather and a nicer interior with the power of the turbo charged Boxer engine, which I had always liked. At the start of the spring semester I started looking on Craigslist for Legacy’s since I knew I would need a new car before August came around. 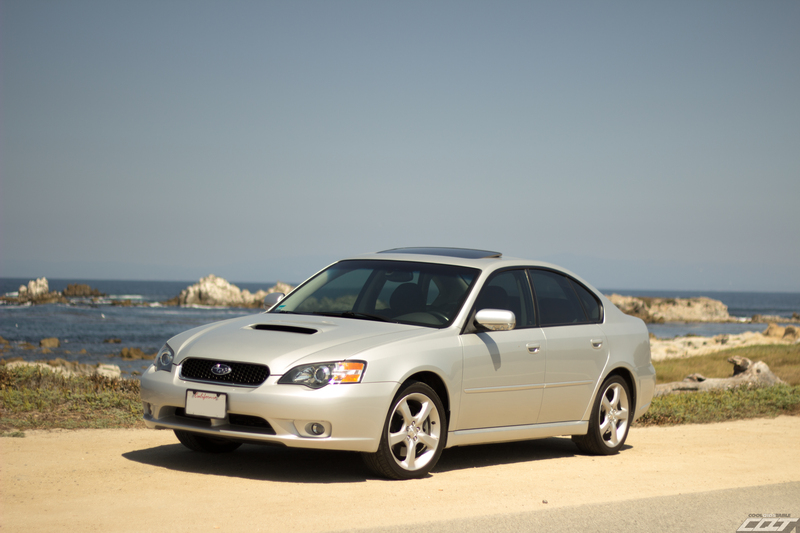 I originally had my mind set on a low-mileage, 5 speed Legacy Wagon since I really liked the body style, and because the wagons are a little more “rare” than the sedans. I searched and searched for months with very little interest in some. I looked at a couple in person, but soon realized that my qualifications for a nice and clean Legacy Wagon probably would not be met. Since I lived in the San Francisco Bay Area, many people took their Subaru’s up to the Tahoe area for snow and hiking trips. This would mean that finding a non-beat on Subaru would take a little more searching. During summer classes, I was on my phone between classes searching for cars. One caught my eye that was low mileage, but it was located four hours away. This meant I would have to wait until the weekend to even look at it. Since it was a super low mileage, very kept up Legacy GT wagon, many people would be interested in the car. I called the guy and he confirmed that just in the few hours the car had been posted, he’d gotten many responses for the car. I told him my story, and said he would keep me updated on the car as the week went on. Unfortunately, the car sold before I could finish classes for the week. I then stumbled onto a Legacy sedan, so I decided to email the guy selling it. It seemed like a very nice car, so I set up a meeting to look at the car and discuss logistics. The car was even nicer in person, the paint was pristine, and leather was in near perfect condition and it ran super smooth. We talked out a price and set up another meeting for me to come back and buy the car. When driving away in the car, it seemed surreal to be buying MY very own car. I like the quiet drive compared to my old car, but decided instantly that it needed at least a little sound to liven up the drive. I purchased a SPT intake, and an exhaust system from Invidia (even though the Invidia has been backordered for a few months now.) I also plan to make some simple aesthetic changes. Since this is a daily driver that I want to last for a while, I don’t want to make it too crazy. I’ve also modified the front grille to resemble the Japanese S402 Legacy. This was made possible by a Crown Victoria grille that I chopped up to fit. I plan to do other things to it in the future, but for now I’m going to enjoy having a nice quiet and clean Legacy GT. Since I now go to school in the Monterey Area, I’ve had more than enough time driving the Legacy back and forth from home to school. I’ve also had a lot of fun adventuring around the Monterey Bay Area. Going to the point of Pacific Grove is definitely one of the best places to visit for a nice view of the sunset. It’s also nice to finally be part of the Subaru family. 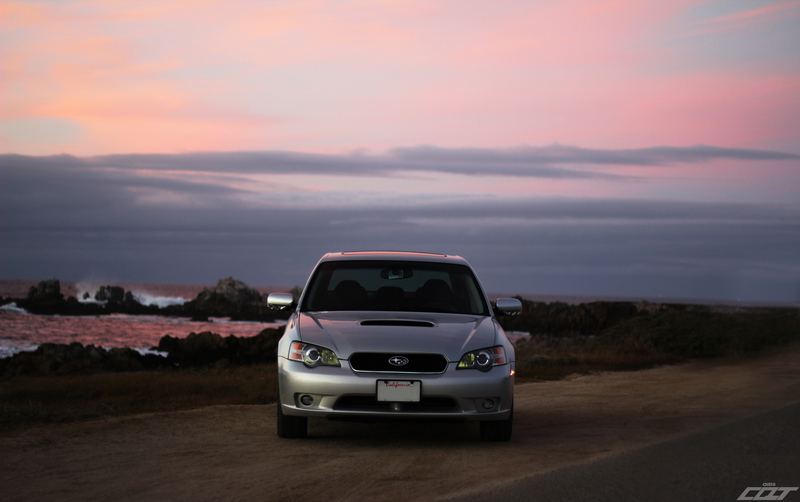 It’s cool to get head nods, and thumb up’s from other Subaru owners while I drive the Legacy around Monterey. I’ve only have the car for about three months now, but I can’t wait to go up to the snow in the winter. Not only does sliding around in the snow sound fun, the vast white of the snow makes for some awesome pictures. 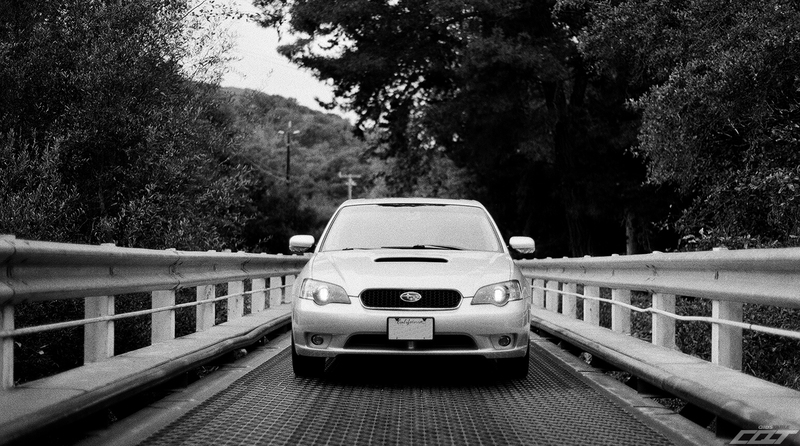 Thanks Bryan for sharing your Subaru Legacy with us! 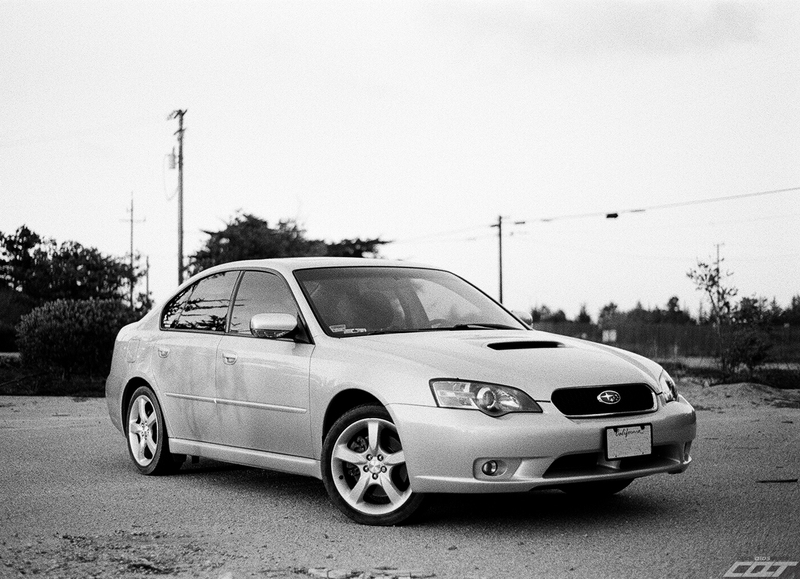 I am super jealous that you have a Subaru Legacy GT Limited 5 speed. As always, save the manuals! Anybody who would like to share stories of their cars, email me at rnrautoblog@gmail.com.